Things are the same here. Busy, fun, exciting, tiring, normal. There are dramas here and there but we do a pretty good job of keeping them under control. We try to run a drama free life, that's not to say we are 100% successful, but for the most part the drama is kept to a minimum. 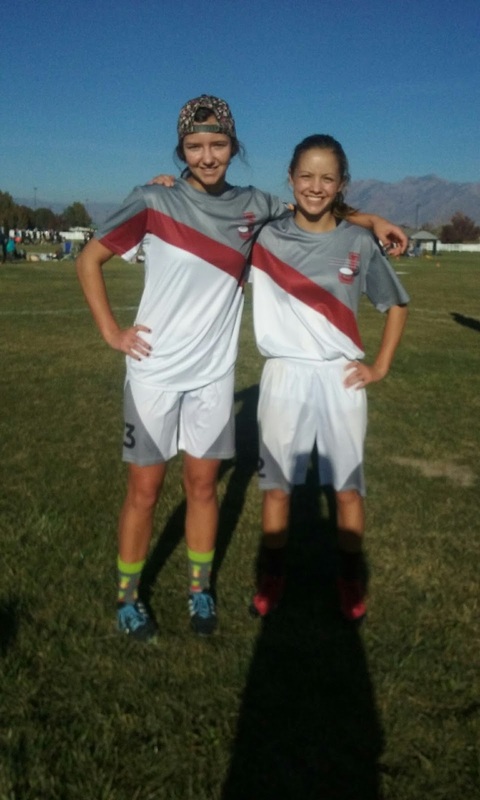 Sydney and Gretchen participated in the state Ultimate Frisbee tournament. I'm unclear as to what state actually means, it seems like there were only a few (3-5) schools represented. That doesn't really matter, what matters is the girls played and had a great time. They are both gimping around the house today because 6 60-100 minute games of constant running in two days makes a body sore and tired. I was only able to see 2 1/2 games since Julia had a swim meet Friday and Saturday too. Brian had to miss out on all of it, but we appreciate his working so they can all do these fabulous activities. Julia's swim meet was super long. She did better in her events on the second day than on the first. 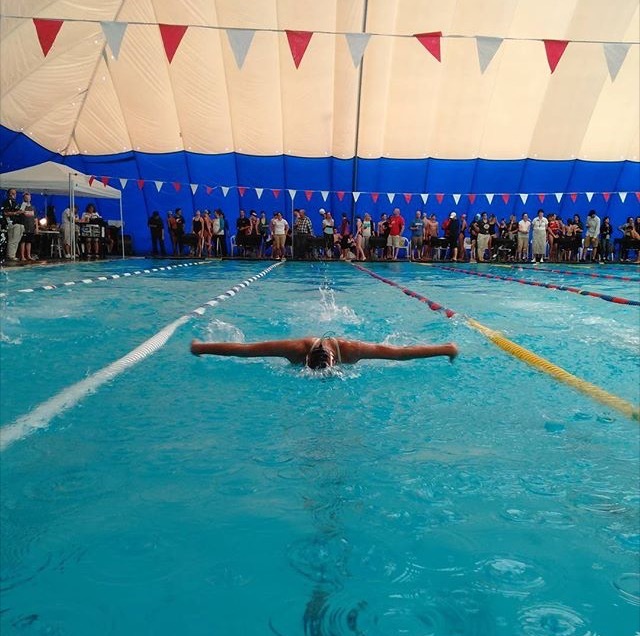 She has been working hard on her technique and we both love this picture her friend took of her during the 200 IM. She does not love the butterfly like Gretchen does, but she sure looked good and strong doing it! Jordan High School's girls choice dance was Saturday night. Sydney and her date dressed in late 1960's attire. Those platform shoes were killing me. I swear Syd was 6 feet tall in them. It was hard to recognize my generally makeup free daughter all decked out with '60's style eyes. I guess that style is kind of worn today, just not by her. Halloween brought 3 different parties, one worker and me at home passing out candy. I thought my scarecrow, Piper (from The Lost Heroes), and robber looked fabulous. I'm sure you are wondering if there will ever by any more pottery on this blog. I've been wondering the same thing too. I am working on it. Later this week I'll post about the 2 pieces I have used the most this year. And then I'll put up some pictures of what I've been working on. My studio open house will be Saturday Dec. 12.